“According to the F.A.A., 712 million passengers flew within the United States in 2010. Let’s assume that just 1 percent of those passengers — about two people per Boeing 737, a conservative number — left a cellphone, e-reader or laptop turned on during takeoff or landing. That would mean seven million people on 11 million flights endangered the lives of their fellow passengers. "Yet, in 2010, no crashes were attributed to people using technology on a plane. None were in 2009. 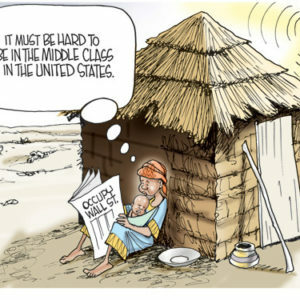 Or 2008, 2007 and so on. You get the point. And to add insult to injury: you can’t use your iPad during takeoff and landing, but United’s issuing iPads with flight procedures, manuals, and maps to its pilots. Introducing Nathaniel Pierre Turner on Flickr. So I’m a few days late in posting this here, but here’s the new addition to our family. Getting his court ruling cleared and permission from the nuns to keep him overnight until, well, pretty much forever, since once the final paperwork clears, we don’t need anyone’s permission for that, pretty much made this year’s Thanksgiving the best ever. 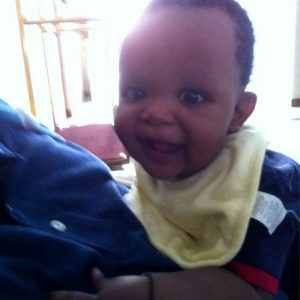 Nathaniel was born April 1, 2011, and is seven months old in this photo. Pierre is what the nuns at the Home of Hope Orphanage named him, and is what will be his legal name on all of his Rwandan documentation, including his passport. Season ticket holders unfurl the flag on Flickr. This is my favorite photo of the entire 2011 ALCS Game 1 set. 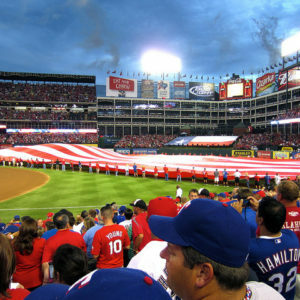 I just love how the sky looks, the way the Ballpark’s lit, the Texas-sized flag in the outfield. Baseball, mom, and apple pie. Darn tootin’. Musab al-Zarqawi, Osama bin Laden’s handpicked deputy in Iraq, had killed thousands of people in an attempt to send the world back to the sixth century. In a fitting bit of irony, two operators from SEAL Team Six had killed him with an invisible laser beam and a flying robot. While I love a good game day shirt, I’ve never been in the habit of acquiring “victory” shirts. But I have to admit, this one gave me a chuckle. Go claim it, boys! 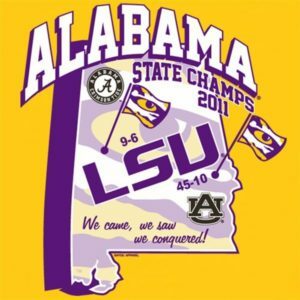 Geaux Tigers!! !